This past weekend, I believe the most important thing I learned was that WE control our own destiny. 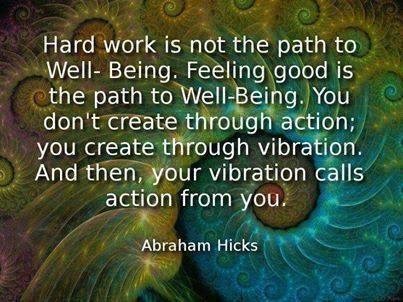 Manifesting good things and being aware of ourselves is the key to happiness. No matter what you believe, no matter what “God” you follow and worship, we all have free will. Make the decision right now to use your free will for good. Not only in your life and situation, but for the guy you pass on the street. The person that irritates you at Walmart. Your smile and kind thought might just be the highlight of their day.. If we send out good, good will be given back. Manifest what you want, not always what you need. At this moment in my life, I “want” PEACE! Peace for myself, peace for my friends and loved ones and yes, dare I say it, World Peace! 😁. We can make a difference just in how we send out vibes. Pay it forward, do a good deed, smile at the person that yesterday you wanted to punch in the face. You will feel better for it, I guarantee that. If every person, every human on this planet, right now smiled in unison, I am almost certain we would feel the Earth quiver with delight! Love, light and PEACE to all of you! That is so inspiring, and uplifting! I agree with you. What a beautiful enlightening post. I am so happy for you Lann I know how important it was for you to go. What a terrible thing if you had not gone and missed the hug from Erik and know Arthur was there. What you came back with to share with all of us is just fantastic. I believe this post is one that is very important and should be placed where we can see it everyday. I plan to print and frame it and place it in a place where it will be one of the things I see first thing in the morning. I know this probably sounds crazy, but to me it is very important. Depending on how you read it, it tells a story at lease that is how I see it.